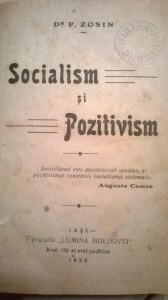 Positivism was discussed among Romanian philosophers in the late 19th and early 20th centuries. The temple that was built in Iași, Romania on the initiative of Panait Zosin was destroyed in the events of the revolution of 1989. 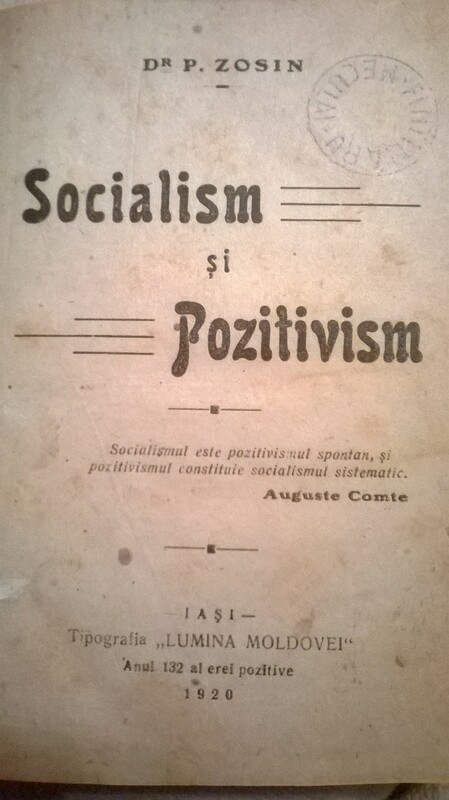 Panait Zosin, Socialism şi pozitivism (Iaşi: Tipografia Lumina Moldovei, 1920).